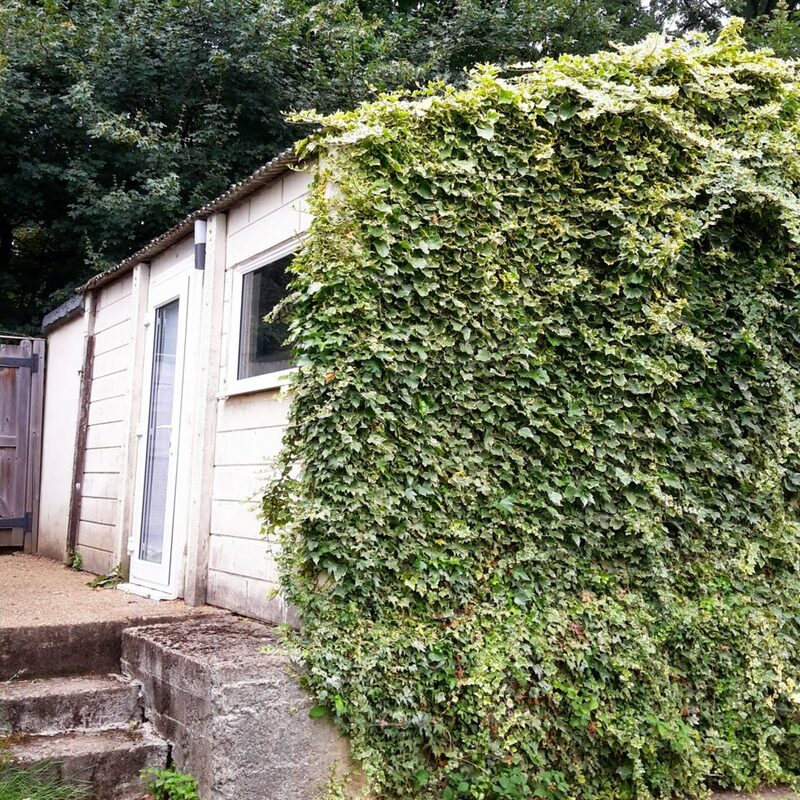 So without further ado, here’s a little peep at what’s currently inside our garage/outbuilding/whatever the hell you want to call it. 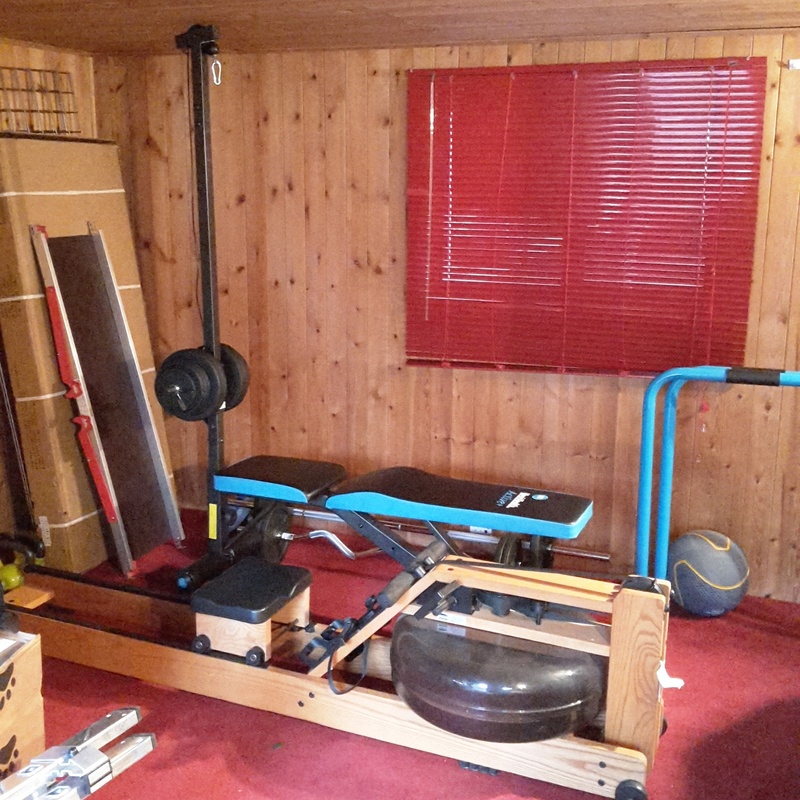 A couple of months ago, Pete finally relocated his gym equipment from one of our spare rooms into the garage. It just about fits since for some reason unbeknown to us, the entire garage is panelled inside with wood which really restricts the height. It serves a purpose though for now and part of our future plans for the garage involve most likely knocking it down and rebuilding to create a separate gym space as well as a summer house and separate shed. 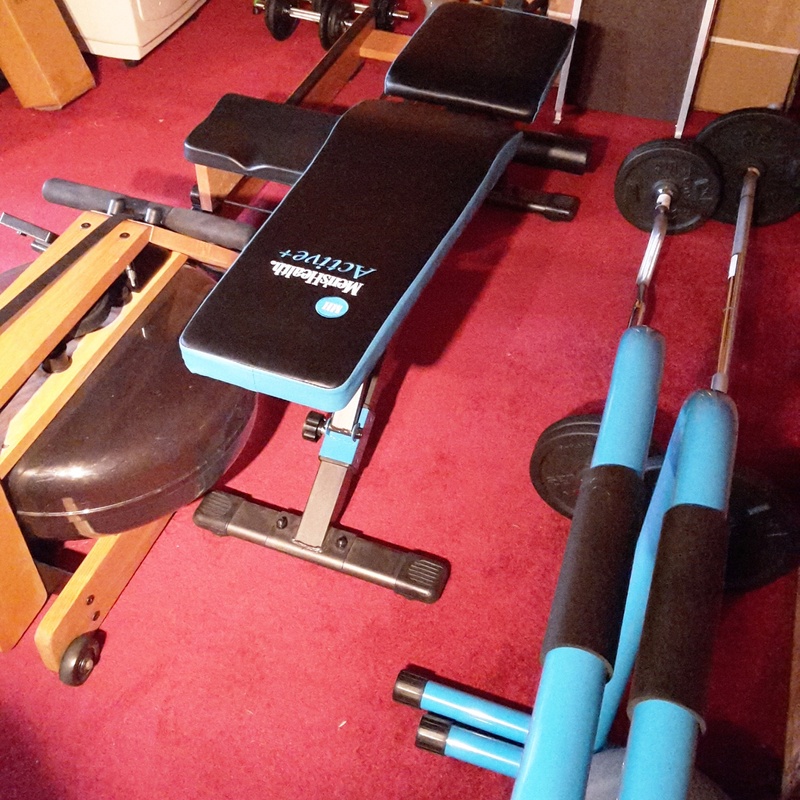 We’ve finally worked out some kind of system to keep all our tools in check – previously they were a bit all over the place which meant that we never knew where anything was and it took us ages to get any jobs done. Now we have a shelving unit and a toolbox on wheels to keep everything neat and tidy and it means that if I want to potter about working on little DIY projects I don’t need to wait for Pete to tell me where things are. Outside the sauna there are some hooks which I’m guessing were for towels or dressing gowns (!) 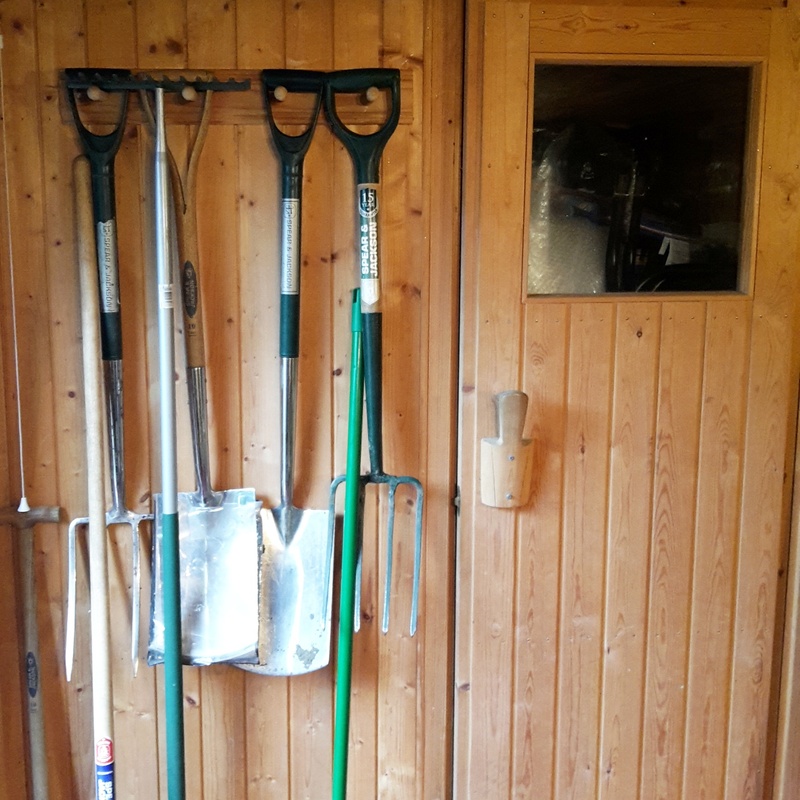 but we’re repurposed them to keep our garden equipment out of the way and easy to get to. There is pretty much always some kind of painting project on the go. 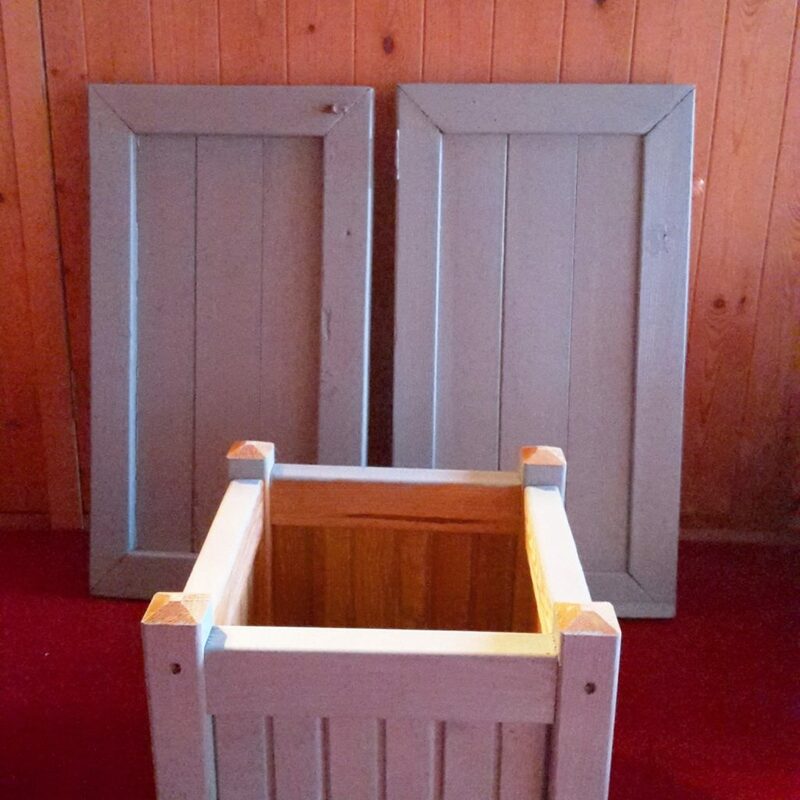 At the moment I’m painting our patio cupboard doors with Cuprinol and also a wooden planter for the patio that I think we’ll probably pop another tree in. The only problem is of course as always with me that I started this a good few months ago and it’s still not finished. 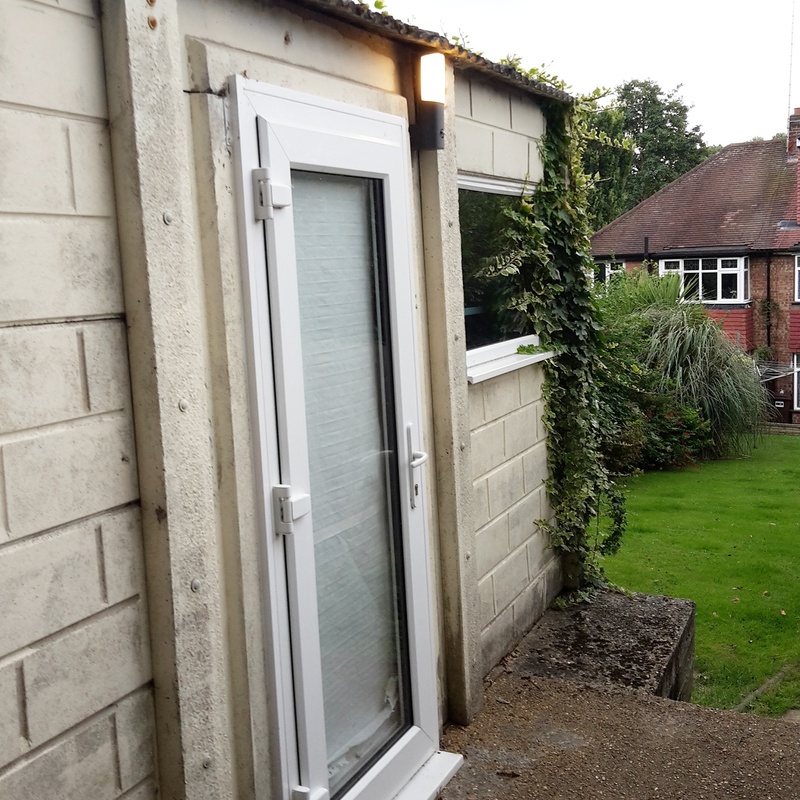 I’m so pleased that we have this building at the bottom of the garden because I know that one day it will be completely redesigned to provide some really useful space. 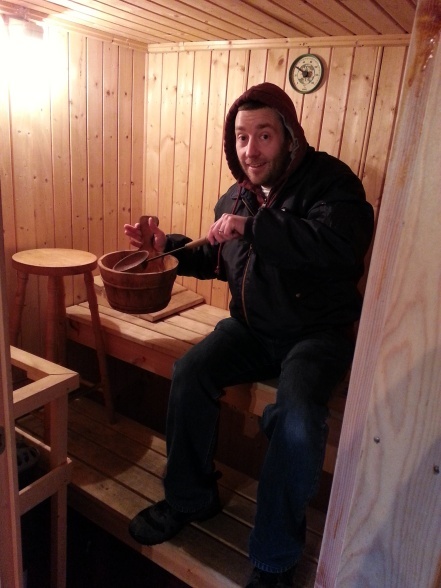 For now though, that sauna belongs to the spiders. This is a collaborative post but all words, opinions and images are my own.